Truth And Power is an ambitious investigative documentary series in which members of the public go to extraordinary lengths to expose abuses of power. The 10-part series asks what happens when private institutions and governments abuse their power and break the public trust. It was created and produced by Brian Knappenberger, director of feature-length docs including The Internet’s Own Boy: The Story of Aaron Swartz and We Are Legion: The Story Of The Hacktivists. It came about after he finished The Internet’s Own Boy, the story of a computer programmer and political activist, which was distributed by Participant Media. “When you start scratching the surface, there are a lot of places where the average citizen is at a disadvantage to large corporations, moneyed interests or abuses of governmental power,” Knappenberger says. Issues explored in the series include the rise of private prisons in the US, campaign financing rules, security, surveillance and profiteering in the digital age. “I wanted to investigate these issues and frame them around personal stories and institutional failures,” says Knappenberger. He adds that many of the stories in the show are related to technology, including an investigation into ‘Stingrays’ – mobile phone devices that trick phones into transmitting their location and personal information. “I feel like we’re at a critical moment where the way we communicate has changed drastically. A lot of people don’t understand potential abuses of power in this new space, with the convergence of new technology, civil liberties and traditional human rights,” he adds. Knappenberger says many of the stories would not necessarily stretch to a full documentary feature and work better as a TV show. “I want to do longer-form features as well, but TV offers a wonderful opportunity – I’m looking for ways to make the most of the medium,” he says. The show airs on US cable channel Pivot, which is owned by socially conscious fi lm firm Participant, producer of movies including An Inconvenient Truth, The Cove and Spotlight. Balaban says Pivot had been looking to develop a weekly factual show to sit alongside Hit Record On TV with actor Joseph Gordon-Levitt and All3Media-produced Secret Lives Of Americans. 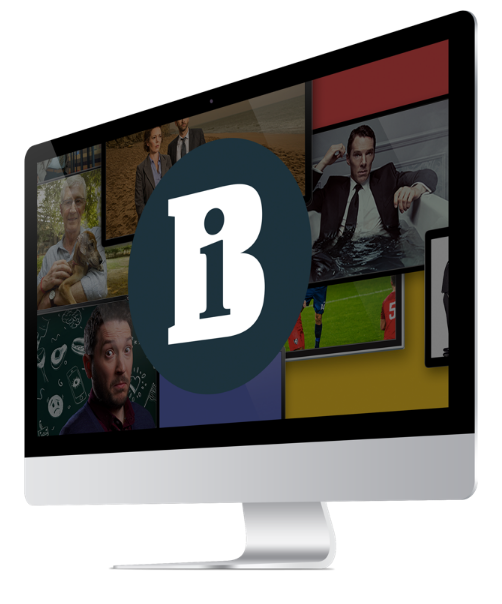 The broadcaster is one of the more outward-looking US broadcasters, airing series such as Australian comedy Please Like Me and Sky Atlantic drama Fortitude.